Cockroaches might seem like insects that won't cause much damage in the home, but if you have an infestation, there are a few things that could quickly go wrong in the walls or behind your appliances. Cockroaches often carry various types of bacteria as well, which can make people and animals in the home sick if there is a large number of the pests present. It's important to avoid providing an environment that roaches will find welcoming. This means that food should be kept stored in sealed containers and that any water leaks should be repaired because roaches enjoy finding a water source under cabinets and underneath the home. If there are roaches in your home, you'll usually see small black specks on the floor or on the countertops. These small specks are the droppings of the roaches that they leave behind. You might mistake these droppings for dirt or even coffee grounds if you see them near a coffee maker. Check for droppings behind the refrigerator or along the baseboards of the walls as these are areas where roaches will frequent the most. A roach will often lay about 50 eggs at a time. The female will leave behind egg casings when the eggs hatch. These small casings will usually be transparent, and there will often be several in one area. 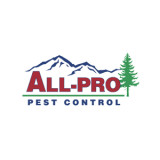 Several casings in the home often means that you have an infestation that needs to be controlled by a pest company, such as All-Pro Pest Control. Sometimes, you can smell roaches in the home. They will leave behind a trail when they move around at night, and if there are numerous roaches moving around, then you can begin to smell a musty odor. A few roaches usually won't emit any kind of smell, so if you do notice this odor, then it typically means that there are dozens, if not hundreds, of roaches in the home. If you're walking around the house at night, this is the time when you'll see the most roaches. If there is a large infestation, then you might see them during the day as well. All-Pro proudly serves Seattle as well as many other surrounding communities in Washington. Be sure to check out our service area and see if we can help you today!